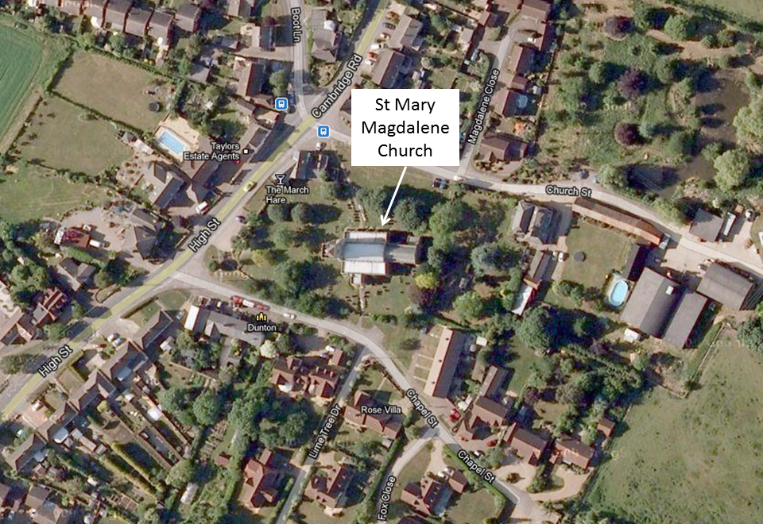 Our concerts are held in St Mary Magdalene Church, Church Street, Dunton, SG18 8RR. The church dates back to the 14th century and provides us with a superb venue where the natural acoustics only need a little bit of balancing from our sound system. The March Hare pub provide a fully stocked bar at all of our concerts with local beers and Franklin's Cider available as well as other alcoholic and soft drinks. The church is in the centre of Dunton, behind the March Hare pub. Parking can be found in front of the church on High Street and on both Church Street and Chapel Street (either side of the church).